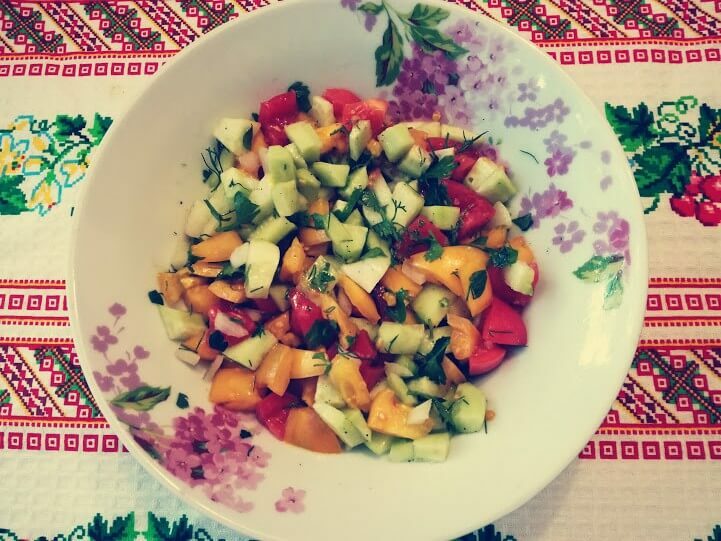 This quick vegetable salad uses just several simple ingredients – juicy tomatoes, crunchy cucumbers, piquant onion, and flavorful dill. It is refreshing and nourishing at the same time. Tossed just with vegetable oil the dish can be done in less than a quarter of an hour. 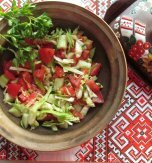 Try to cook this cucumber, tomato, bulb onion, and dill salad and see for yourself. 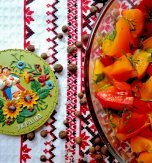 This salad includes a great mix of yellow and red tomatoes which makes it special and colorful enough to brighten up any dinner – whatever the weather is today. This easy-to-cook salad will become a perfect side dish. This dish goes well with fish, chicken, and pork. 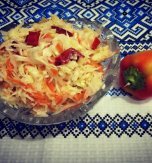 You may also serve the salad with crunchy bread and cheese as an easy lunch on a weekday. As the salad is rather simple, cutting process plays a strong role. 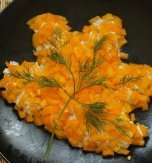 Nicely cut ingredients – cubes of tomatoes and cucumbers, finely cut onion and dill make the most simple salad unique and appetizing. All your relatives and family friends will like the salad. Be prepared! It can be eaten in minutes! Wash tomatoes and cucumbers thoroughly. Cut the red and yellow tomatoes into cubes. Peel cucumbers and dice the vegetables. Peel and rinse a bulb onion. Cut the onion finely. Wash and chop fresh dill finely. Combine all the ingredients in a bowl. Drizzle the salad with vegetable oil and toss to coat. Season it with salt and red ground pepper just before serving. 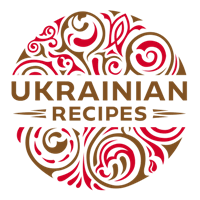 Do you have a favorite Ukrainian recipe for a cucumber, tomato, bulb onion, and dill salad? If so, please let us know in the comments below or write us an e-mail.